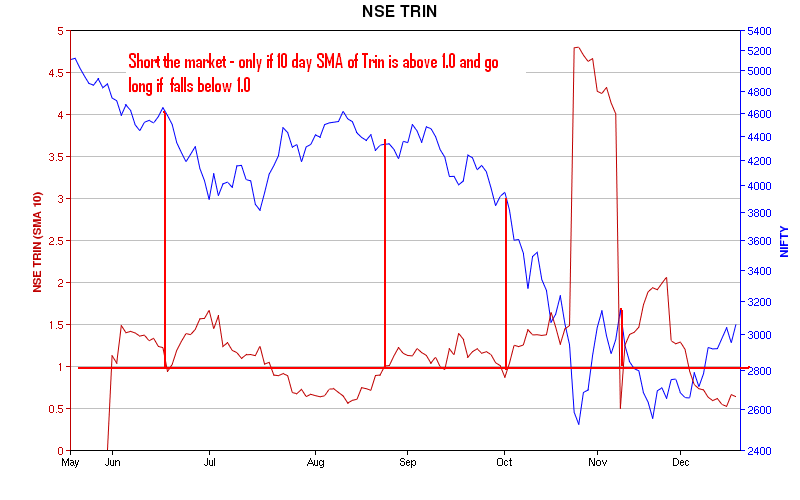 Chart Shown here is the Nifty chart in comparision with 10 day SMA of TRIN. In short a rising Trin signals that the Bears are beginning to take control. Likewise, a falling Trin tells us that the Bulls are taking control of the direction of the market because a falling Trin shows us that more volume is flowing into advancing stocks than declining stocks. bears will be visible in couple of days.